Breastfeeding Week is a time to galvanize a variety of actions and engage with a wide range of actor around the promotion, protection, and support of breastfeeding. 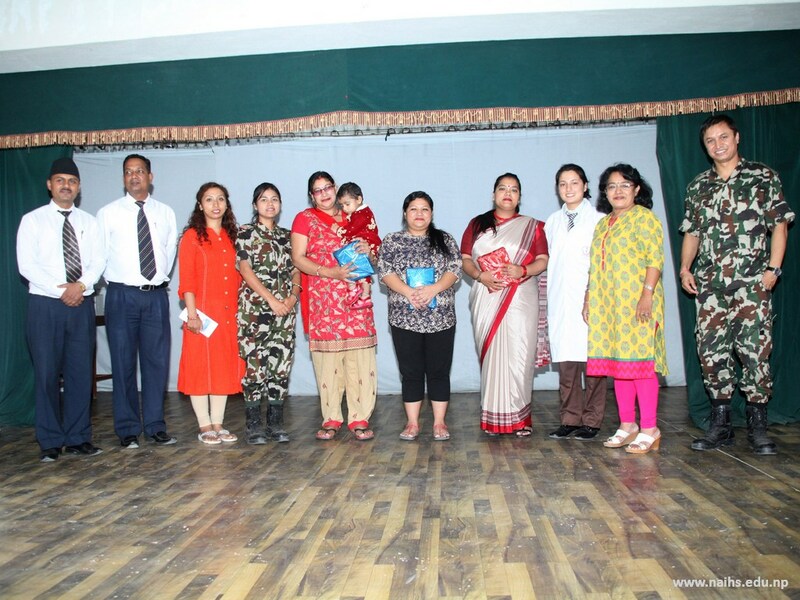 Nepalese Army Institute of Health Sciences (NAIHS) also celebrated World Breastfeeding Week on 2nd August 2017 in its Community Training Centre (CTC) in Bijeshwori. The event was organized by The Department of Community Medicine- College of Medicine (NAIHS) with the active participation from the 1st year MBBS students. 1. 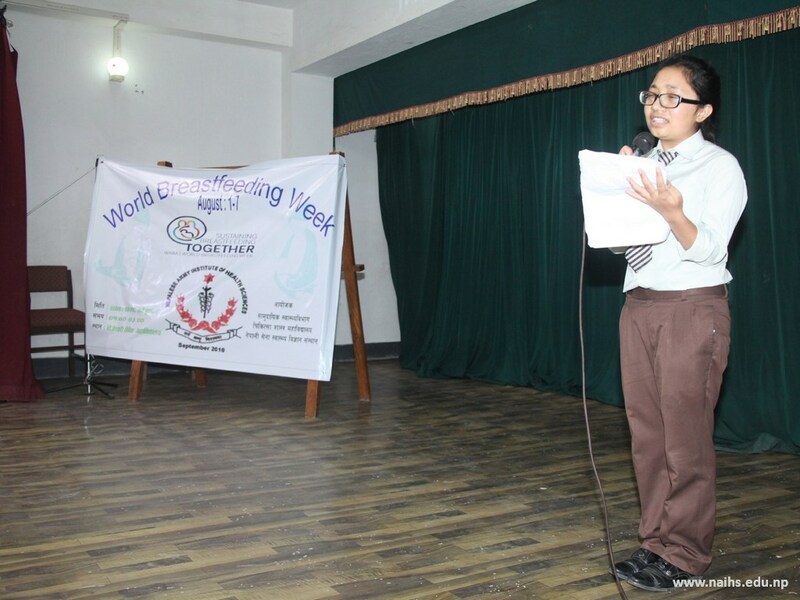 Two Role-play, one Speech, one poem and Quiz competition were conducted on the topic “Sustainable breastfeeding together “ which encompasses all the sustainable development goals and exclusive breastfeeding. a. 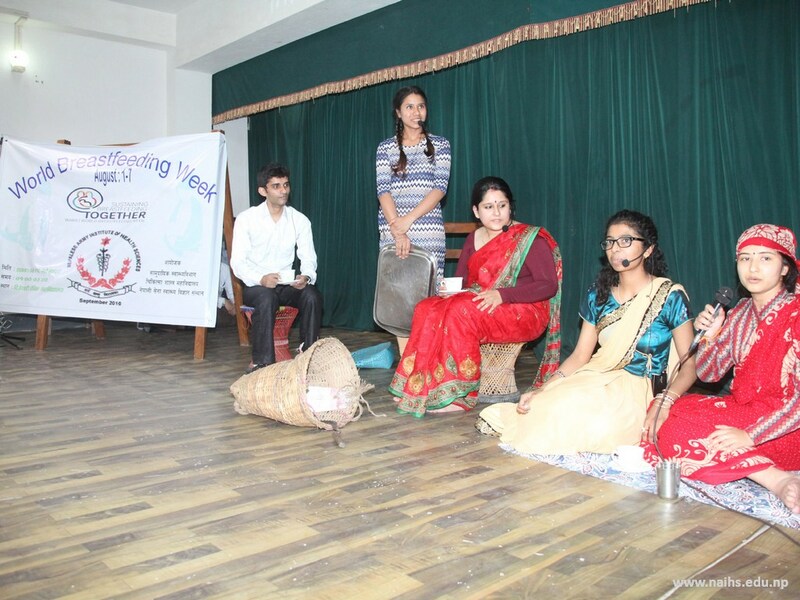 First role-play '' Sahari Jeevan" was about eight minutes which mainly focused effect on infant health due to women employment and climate change. 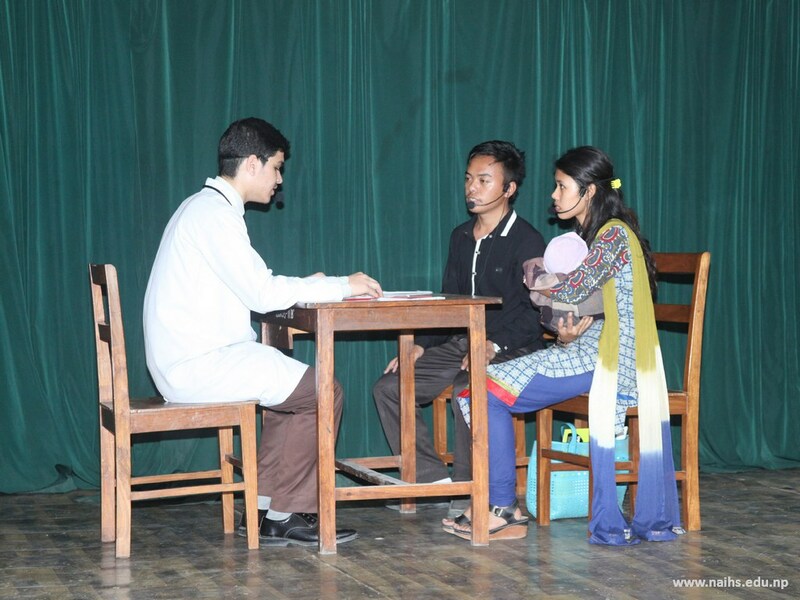 Concept of this role play was of Ms. Manita Khadka (NAIHS 1st year student). 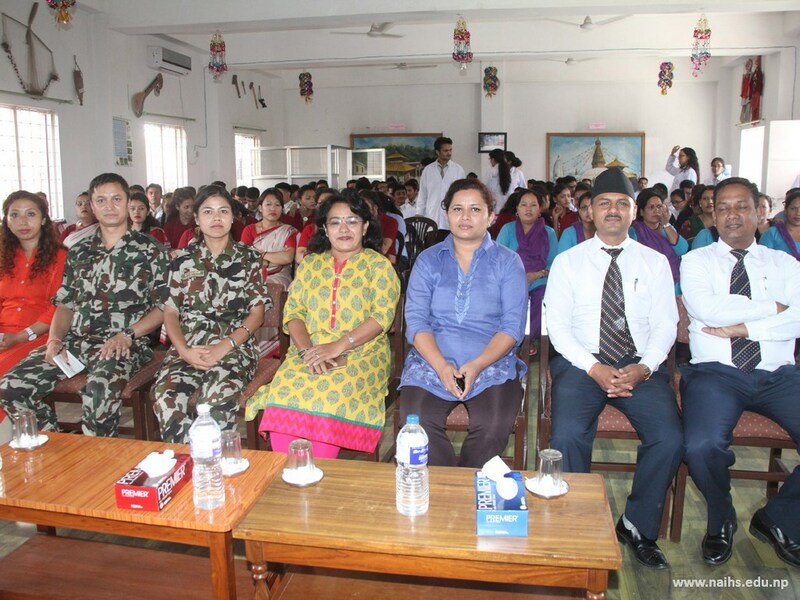 Role-players were Ms. Amrita Ale Magar, Ms. Kala Shrestha, Mr. Priajan Ale Magar, Mr. Manoj K.C. (all were NAIHS 1st year students). 2. 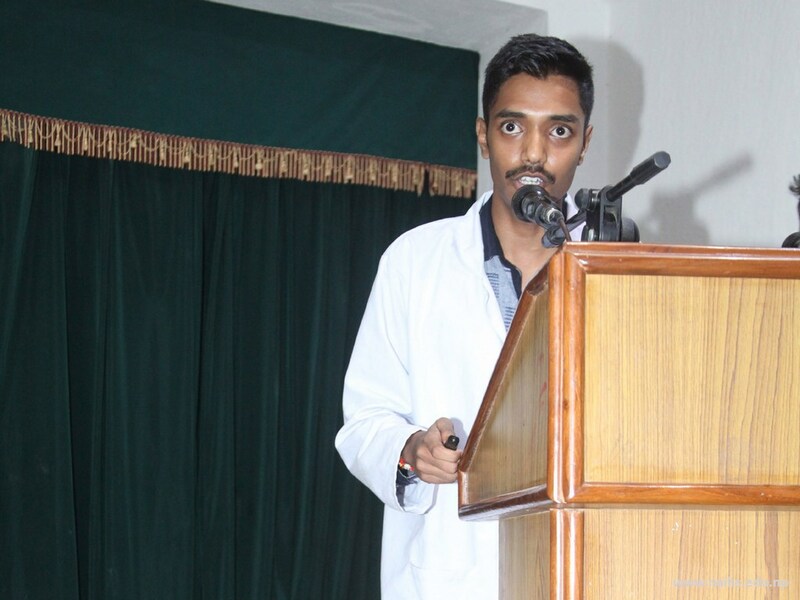 Short speech on Baby Friendly Hospital Initiative (BFHI) was delivered by Mr. Gaurav Kumar Shah (NAIHS 1st year student). 3. 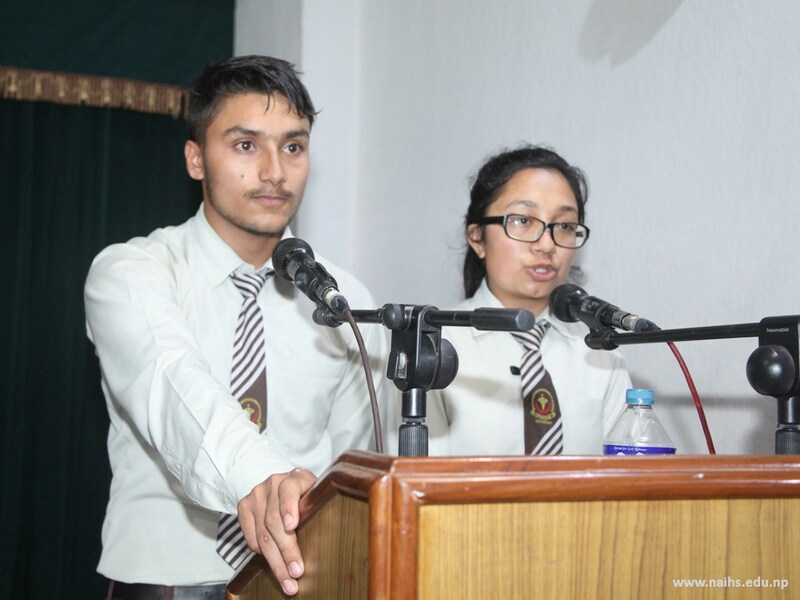 Poem by Ms. Manita Khadka gave the program a new delightful movement and impress the Chief Guest and audience which really explains the sustainable development goals in poetic way. 4. 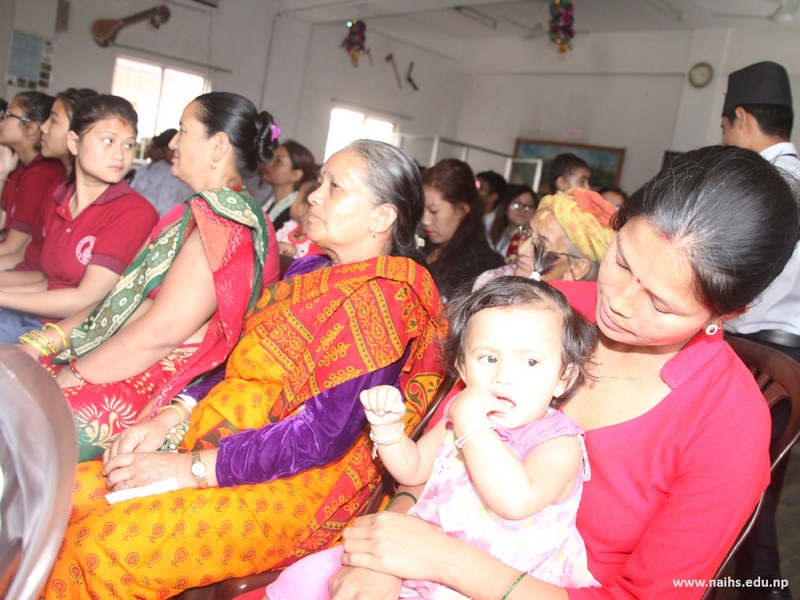 There was also a Quiz competition with active participation of people about the exclusive breastfeeding which was also an attraction point for programme. 5. The Head of Department of Community Medicine (NAIHS), Prof. Dr. Lochana Shrestha distributed prizes to winners of Quiz competition. The program concluded by a Vote of thanks from her followed by tea and refreshments to all. 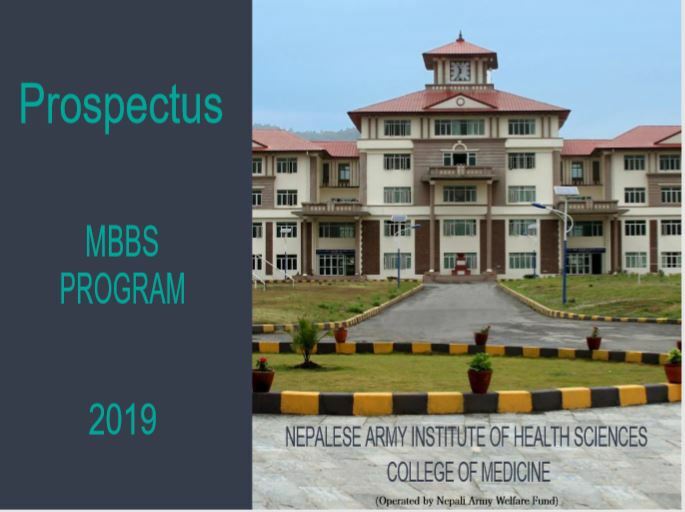 Program, about two hours, was attended by maximum members of community, Vice Principal of Bijeshwori Gyan Mandir Sainik Mahavidyalaya (BGMSM), Head of Department of Community Medicine, faculties of department and all first year MBBS students of NAIHS, College of Medicine (COM).